From JR Hakata station: Take a south-bound (for Omuta, Kumamoto, Arao) local or rapid train of JR Kagoshima line. Get off at Onojo station, the second (by rapid, 10 min) or fifth (by local,15-20 min) stops. 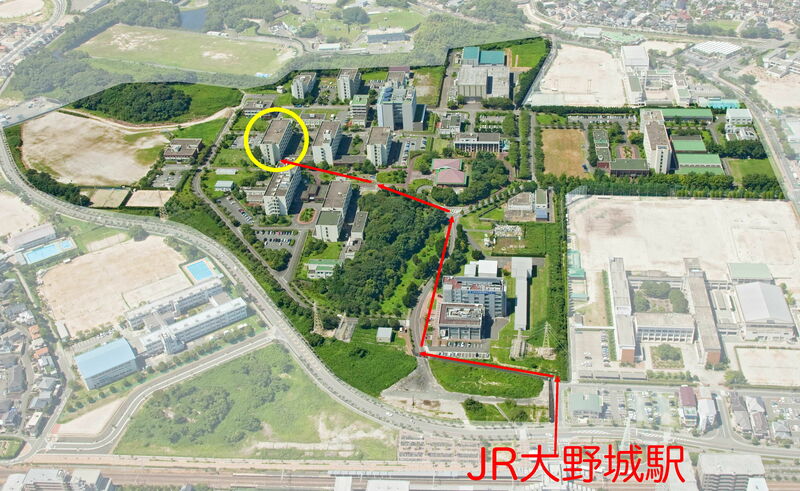 Chikushi campus is right next to the station. From Nishitetsu Fukuoka (Tenjin) station: Take a local train and get off at Shirakibaru station. 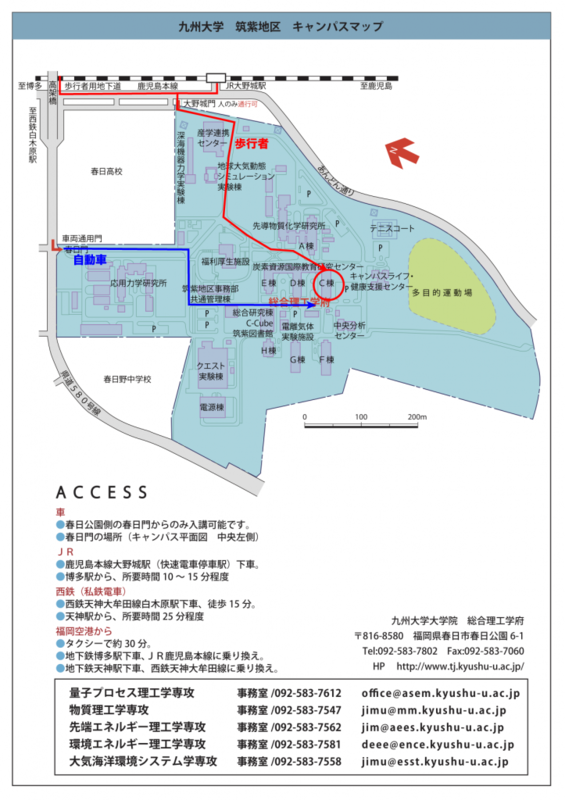 Chikushi campus is located at westward, about 15-min walk.